This article is about the supersoldiers. For other uses, see Spartan (disambiguation). A symbol representative of all incarnations of Spartan programs. Spartans are members of a series of United Nations Space Command projects designed to create physically, genetically, technologically, and mentally superior supersoldiers as special fighting units. Although the word "SPARTAN" is written in all capital letters when used in reference to the programs in a formal context, it is not an initialism; the supersoldiers are known simply as "Spartans". The first major effort to create augmented supersoldiers was the ORION Project, later retroactively dubbed "SPARTAN-I", which used operatives drafted from the UNSC. The subsequent programs, SPARTAN-II and SPARTAN-III, were highly successful, but also controversial because of their dubious ethics concerning the use children as candidates, particularly in the Spartan-II program where risk of injury or death in the augmentation procedures was relatively high. The latest installment, SPARTAN-IV, returned to the idea's roots by using consenting adult volunteers primarily drawn from the various special forces units of the UNSC. While formerly serving within the various conventional military branches of the UNSC (mainly the Navy), the Spartans were brought under a single organization with the formation of the military branch known as Spartan Operations to accommodate the growing number of Spartans in the fourth-generation program following the end of the Human-Covenant War. The Spartan supersoldiers have traditionally been supplied with state-of-the-art equipment and technology, the most iconic being the MJOLNIR Powered Assault Armor first worn by the Spartan-IIs and later utilized to a great extent by the SPARTAN-IV supersoldiers. The basic concept for the SPARTAN programs has been around since the late 22nd century when the first bioengineering protocols were developed for the Interplanetary War. Since the establishment of these protocols humans have been using performance-enhancing equipment and augmentations to make them stronger and faster than previously possible. Spartans have been deployed numerous times throughout human conflict, leading up to and during the Human-Covenant War. The notion of creating supersoldiers first arose as a plan to enhance normal human soldiers into powerfully augmented special operations commandos. Initially the three separate programs were humanity's various attempts to create the perfect soldiers, in order to patrol the colonies, protect civilian and government populations, crush uprisings in their infancy and ensure others don't rise up as a result. The Spartan soldiers of the UNSC are named after the Spartans of Ancient Greece, specifically during the time of the Persian invasion led by Xerxes I. The wars between invading Persians and defending Greeks would be known as the Greco-Persian Wars, and lasted from 499-448 BCE. During this war, the Battle of Thermopylae occurred, in which 300 Spartan soldiers leading 5000 other Greeks under the command of Leonidas I, held back a significantly larger force of Persian soldiers. All of the Spartans were eventually killed, but they successfully killed 20,000 Persians (according to Herodotus), and bought the Greeks time to prepare a better defense for Greece. The Spartans' formidable resilience resulted from their rigorous training in the agoge, which started when they reached the age of 7. The genesis of the SPARTAN programs occurred in 2321 with the activation of the ORION Project. Launched by the Office of Naval Intelligence, the project was named after the Greek mythological hero Orion. The aim of ORION was to build on bioengineering protocols established in 2164 and create stronger and better soldiers than any before them. The initial beginnings of ORION were merely a test to see what could be accomplished with the advancements of that time, and candidates of the ORION project were all volunteers from the armed forces of the military - these handful of candidates went through numerous testing and augmentations throughout the duration of the project. However, the results were far less than expected and eventually the candidates were seeded into the regular chain of command after the project was declared ineffective and terminated. In 2491, the Colonial Military Administration relaunched ORION in secrecy, with the new goal of learning from the mistakes of the previous attempt, and creating a soldier unlike anything seen before - and to deploy these soldiers behind enemy lines and quell insurgencies in their infancy, or destroy established insurgencies by destroying their chain of command and expanding outward. The project was headquartered in one of the many orbital docks on the fortress world Reach, and the candidates were, once again, selected volunteers from the UNSC Special Forces. This iteration of the project used more advanced indoctrination and biological augmentation techniques, and after a grueling series of physical and mental tests, the first batch of soldiers, 165 in total, successfully passed and moved on to the next phase. In 2496 the UNSC launched Operation: CHARLEMAGNE in response to colonial secessionists who executed a series of attacks on Eridanus II, which resulted in numerous deaths and the kidnappings of civilian and government officials in 2494. This marked the first operational deployment of the ORION soldiers, who scored a decisive victory and emerged from the battle with only a single casualty. The Spartans were able to complete the mission without even being seen, thereby fueling a range of conspiracy theories and media speculation; this proved to be very helpful to ONI's propaganda efforts in the coming decades. Though the Spartans were effective, their abilities fell short of the scientists' hopes, and they cost far too much to develop and field - in 2506 the project was deactivated and the soldiers were reassigned to various special operation units. The SPARTAN-II unit patch, which would later serve as the inspiration for the Spartan branch insignia. In the years following the deactivation of the ORION Project in 2506, the Insurrection became too large for the UNSC to manage with small Special Forces teams. As the Insurrectionist attacks were becoming more effective, and the military's responses heavier; the need for large scale military campaigns were becoming more and more necessary. The SPARTAN-II program was conceived by Dr. Catherine Halsey of ONI's Section 3, as the successor to the original ORION project and the best possible solution to end the conflict with the Insurrectionists. Whereas the former Spartans were chemically-enhanced volunteers from the armed forces, the SPARTAN-IIs were young children, who were kidnapped, indoctrinated, and raised as soldiers from as young as six years old, being surgically, genetically, and cybernetically enhanced once they reached physical maturity. Although it was viewed as wildly unethical and filled with controversy, the secretive program produced results, and more importantly the Spartan-II soldiers proved to be the most effective soldiers ever fielded by a human armed force - and the most powerful weapon in the battle against the Insurrection. However, in 2525 the sudden breakout of the Human-Covenant War proved to be the most challenging and daunting war yet waged by humans, and the SPARTAN-IIs were outfitted with MJOLNIR, the most advanced mechanized armor in human history. While the war with the Covenant continued to progress and the Insurrection was effectively cut off, the Spartan-IIs continued to engage Insurrectionist factions who remained strong enough to pose a genuine threat to the UNSC. The Spartan-IIs continued to perform their missions near-flawlessly, and ruthlessly killed off rebel leaders while engaging Covenant forces, doing whatever was necessary to protect the interests of the UNSC. As the Human-Covenant War progressed and casualties mounted exponentially, ONI activated another program that was arguably even more morally questionable than the SPARTAN-II program. Spearheaded by a prominent opponent to Halsey's SPARTAN-II program, Colonel James Ackerson, the SPARTAN-III program was established using the previous program as a proof of concept. Designed to produce supersoldiers more quickly, at a lower cost, and with a lower life expectancy, the SPARTAN-III program was intended for extreme high risk operations conducted at the highest level of secrecy. The SPARTAN-III candidates were once again children; however, rather than actually stealing children from their beds, this time the "candidates" were recruited from orphanages after the loss of their homes and families from the Covenant invasion, given the opportunity to strike back at the Covenant. The S-III candidates were taken to the planet Onyx and were under the leadership of Spartan-II Lieutenant Commander Kurt Ambrose. Most of the Spartan-IIIs were equipped with Semi-Powered Infiltration armor, which is less advanced and cheaper to mass-produce than the MJOLNIR suits issued to the Spartan-IIs. Throughout the Human-Covenant War, three companies of Spartan-IIIs were trained and deployed, with exceedingly high casualty rates. 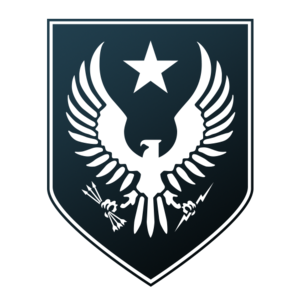 The first company of S-IIIs, Alpha Company, was successful in destroying Covenant and rebel forces during the battles of Mamore, New Constantinople and in the Bonanza asteroid belt - their last mission Operation: PROMETHEUS in 2537 was deemed a success, even though all of the Spartans of Alpha Company were killed in action. The second company, Beta, was trained soon after the loss of Alpha. In 2545, the company participated in Operation: TORPEDO, which was also deemed a success; however, only two Spartans, Tom-B292 and Lucy-B091, survived out of the three hundred soldiers that took part in the operation. Tom and Lucy became trainers for the third company of S-IIIs, Gamma Company. Gamma Company completed their augmentation and most were deployed on missions elsewhere in late 2552, when the Shield World on Onyx was activated. A fourth class, Delta Company, was slated to begin training around late 2552, until the SPARTAN-III program was discontinued after the destruction of Onyx and the creation of the SPARTAN-IV program. After the war, the surviving Spartan-IIIs were offered the chance to integrate into the fledgling Spartan Operations. Smaller, highly specialized units consisting of Spartan-IIIs also existed; these included the Headhunters and NOBLE Team. These units consisted of Spartans who were deemed particularly exceptional among their peers, removed from their mainline companies and given superior equipment and armor. Notably, the members of NOBLE Team received sets of MJOLNIR armor and had a Spartan-II as a permanent member. 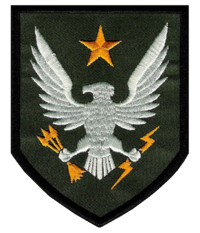 The Spartan branch insignia, derived from that of the Spartan-IIs. Conceived by a SPARTAN-II "washout", Commander Musa-096, the SPARTAN-IV program was activated in early 2553. Like the original ORION Project, the SPARTAN-IV program uses only consenting adult volunteers, the augmentation of adults having been made possible by advancements in the technologies pioneered by the prior Spartan programs. Unlike the mainline SPARTAN-IIIs who were forced to use cheaper equipment due to budgetary constraints, all Spartan-IVs are equipped with MJOLNIR armor, now mass-produced by several private companies. The Spartan-IVs serve in a dedicated UNSC service branch known as Spartan Operations, whereas their forebears operated within other chains of command. Unlike the other military branches, the Spartans lack a formal rank hierarchy altogether, instead employing a more malleable framework based on an individual Spartan's skills and specialization. Sergeant Major Avery Johnson - KIA December 11, 2552 on Installation 08 above Installation 00. Gilly - retired from military service after the dissolution of the project in 2506. Gunnery Sergeant Gladys Wilson - retired from military service after Operation: TREBUCHET in early 2525. Jim James (born James Lee) - retired from military service after the dissolution of the project in 2506. Killed in late 2552 in New York City. Morales - retired from military service after the dissolution of the project in 2506. ORION candidate 047 - died due to an adverse reaction from a medication given for augmentation. Guy - incarcerated as of late 2552. Janissary James - daughter of James Lee and Gilly. Kevin Morales - son of Morales, the "Spartan-I". James-005 - KIA August 30, 2552 above Reach. Jai-006 - Active as of July 2558. Li-008 - KIA in September 2552 in slipstream space. Kirk-018 - Crippled during the augmentation process on March 9, 2525 and assigned to a noncombatant role. Serin-019 - Damaged by augmentations. Became CINCONI by March 2555. Daisy-023 - KIA after 2535. Robert-025 - Active as of 2559. Joshua-029 - KIA August 30, 2552 on Reach. Vinh-030 - KIA September 7, 2552 on Reach. Otto-031 - KIA July 25, 2557 on Installation 03. Samuel-034 - KIA November 27, 2525 aboard the Unrelenting in the Chi Ceti system. Randall-037 - Discharged from the UNSC in 2546. Joined the Sedran Colonial Guard. KIA in February 2556 on Alpha Shard, a piece of Installation 04 that had relocated to Location 6201. Isaac-039 - KIA September 7, 2552 on Reach. Douglas-042 - Active as of March 2559. William-043 - KIA November 3, 2552 on Onyx. Anton-044 - KIA in September 2552 in slipstream space. Kurt-051 - KIA November 3, 2552 on Onyx. Jorge-052 - KIA August 14, 2552 above Reach. Margaret-053 - KIA July 25, 2557 on Installation 03. Linda-058 - aboard UNSC Infinity as of October 2558. Malcolm-059 - KIA August 30, 2552 on Reach. Maria-062 - Retired from active service, but serving in the reserves as of October 2552. Sheila-065 - KIA in 2544 on Miridem. Soren-066 - MIA as of 2527 after defecting to the Insurrection. Solomon-069 - KIA in 2544 at Ascon. SPARTAN-073 - KIA during the augmentation process on March 9, 2525. Cassandra-075 - Crippled during the augmentation process on March 9, 2525. Undergoing rehabilitation as of late 2552. Arthur-079 - KIA in 2544 at Ascon. Rene-081 - Crippled during the augmentation process on March 9, 2525 and assigned to a noncombatant role. Fhajad-084 - Crippled during the augmentation process on March 9, 2525 and assigned to a noncombatant role. Kelly-087 - aboard UNSC Infinity as of October 2558. Jerome-092 - Active as of March 2559. Grace-093 - KIA September 13, 2552 aboard the Unyielding Hierophant in the Tau Ceti system. Caleb-095 - Attempted abduction in 2517 failed. Musa-096 - Crippled during the augmentation process on March 9, 2525. Promoted to Rear Admiral. Created the SPARTAN-IV Program and founded Spartan Operations. August-099 - Active as of 2559. Victor-101 - KIA July 25, 2557 on Installation 03. Ralph-103 - Discharged at some point between 2525 and 2531. Enlisted with the UNSC Marine Corps and was KIA in the latter year on Harvest. Frederic-104 - aboard UNSC Infinity as of October 2558. Adriana-111 - Active as of July 2558. 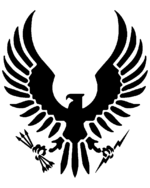 John-117 - aboard UNSC Infinity as of October 2558. Officially declared KIA. Mike-120 - Active as of July 2558. Joseph-122 - Status unknown. Presumably KIA. Oscar-129 - Committed suicide in early 2525. Alice-130 - Active as of March 2559. Carris-137 - Status unknown. Presumably KIA. Cal-141 - KIA at some point between 2540 and 2551 on Heian. Roma-143 - KIA July 25, 2557 on Installation 03. 18 others that were not augmented successfully in 2525. Kai-A019 - Status unknown. Presumably KIA. Robert-A057 - KIA on August 2, 2537 on asteroid K7-49. Shane-A112 - KIA on August 2, 2537 on asteroid K7-49. Jane-A203 - KIA on August 2, 2537 on asteroid K7-49. Emile-A239 - KIA on August 30, 2552 on Reach. Carter-A259 - KIA on August 30, 2552 on Reach. Jun-A266 - Retired from military service. Acting Chief of Staff of Spartan Operations. Kevin-A282 - Active as of 2553. Thom-A293 - KIA on April 22, 2552 on Fumirole. Hazel-A302 - Active as of 2553. Adam-B004 - KIA July 3, 2545 on Pegasi Delta. Lucy-B091 - Active as of April 2554. Owen-B096 - Active as of 2553. SPARTAN-B170 - Status unknown. Presumably KIA. Min-B174 - KIA July 3, 2545 on Pegasi Delta. Roland-B210 - KIA on a Covenant-occupied moon. Tom-B292 - Active as of April 2554. Jonah-B283 - KIA on a Covenant-occupied moon. SPARTAN-B312 - KIA on August 30, 2552 on Reach. Catherine-B320 - KIA on August 23, 2552 on Reach. Holly-G003 - KIA November 3, 2552 on Onyx. SPARTAN-G059 - Active as of January 2558. Ash-G099 - Active as of December 2553. Officially declared KIA. Dante-G188 - KIA November 3, 2552 on Onyx. Olivia-G291 - Active as of December 2553. Officially declared KIA. Mark-G313 - Active as of December 2553. Officially declared KIA. 1,220 others (includes all children trained; not just those that were successfully augmented and put into active service). 92738-61842-LC - Active as of September 2558. Anthony Madsen - Active as of July 2558. Bradford Gale - Active as of February 2558. Bethany Kossup - Active as of 2557. Cara Costabile - KIA February 2558 on Requiem. Carlo Hoya - Active as of July 2558. Carmichael - Active as of February 2558. Casillas - KIA February 2558 on Requiem. Dunlap - KIA February 2558 on Requiem. Dunn - Active as of March 2558. Edward Buck - Active as of November 2558. Edward Davis - KIA in 2554 on X50. Portions of his personality were stored in a durance and recovered by the UNSC. Elias Holt - Active as of March 2555. Ernst Deming - KIA February 2558 on Requiem. Estey-Bethel - KIA February 2558 on Requiem. Frank Kodiak - Active as of March 2555. Fredric Zurenia - KIA February 2558 on Requiem. Gabriel Thorne - Active as of September 2558. Gustavo Esposito - Active as of February 2558. Gretchen Ketola - Re-enlisted from retirement. Active as of November 2558. Hideo Wakahisa - KIA March 29, 2554 onboard an orbital station over a dwarf planet. Holly Tanaka - Active as of November 2558. Horatio Fry - Active as of February 2558. Ilsa Zane - Defected to the New Colonial Alliance. Jameson Locke - Active as of November 2558. Jared Miller - Active as of March 2558. Joel Thomas - Active as of July 2558. Jones - Active as of March 2558. Kojo Agu - Active as of 2558. Kovsky - Active as of 2554. Lincoln - KIA February 2558 on Requiem. Michael Crespo - Defected to the United Rebel Front. Active as of November 2558, returning to Alpha-Nine. Naiya Ray - Active as of July 2558. Newman - KIA March 5, 2558 on Ealen IV. Olympia Vale - Active as of November 2558. Orzel - Active as of November 2558. Paul DeMarco - KIA March 5, 2558 on Ealen IV. Robert Dalton - Active as of February 2558. Rudolf Schein - Defected to the United Rebel Front. Killed March 29, 2554 onboard an orbital station over a dwarf planet. Commander Sarah Palmer - Active as of January 2559. Scott Macrae - KIA February 2558 on Requiem. Tashi - KIA February 2558 on Requiem. Tedra Grant - Active as of July 2558. Terry Hedge - Active as of February 2558. Taylor Miles - Re-enlisted from retirement. Active as of November 2558. To - KIA March 5, 2558 on Ealen IV. Vladimir Scruggs - Defected to the New Colonial Alliance. Killed March 5, 2558 on Ealen IV. Yeong-hao Holst - Active as of January 2553. At least five Spartans are known to have defected from the UNSC to various Insurrectionist cells: Soren-066, Ilsa Zane, Rudolf Schein, Michael Crespo, and Vladimir Scruggs. Halo: New Blood is the only official work to date that depicts at least one member from each SPARTAN generation. ↑ Four identified Spartans are currently unable to be confidently placed in a certain generation with a high degree of confidence. These three are SPARTAN NOLA, SPARTAN NV66, Yasmine Zaman, and Nicole-458. Nicole has been identified as a Spartan-II, but her number suggests she may in fact be a Spartan-III. Similarly, Yasmine's given date of conscription as a Spartan-II correlates with that of the launch of the Spartan-III program's Alpha Company: 2537. ↑ There were 300 "Spartan-Is" at the height of the project. It is likely that John Forge's father (died c. 2541 in Chicago, URNA.) was counted among this number. It is also possible that Nolan Byrne (KIA November 17, 2552 in Voi, Kenya) was a Spartan-1 as well. ↑ It is likely that Sergeant John Forge (died 2531) was a "Spartan 1.1". ↑ Of the Spartans listed KIA on Reach on August 30, 2552, two were identified as "Beta Red Actual" and "Red-Fifteen". Another unidentified spartan perished on Reach: likely Joseph-122. ↑ Keiichi may be KIA but only represented as MIA due to ONI Directive 930.